I seem to be regressing in my eating (Pop tarts) lately as my house continues to be more than a bit out of control. On the positive side of the build we almost have all holes in the house covered, new insulation and wrapping of the outside is done and I’ve been promised that my kiddo’s room will be totally done in the next week. As long as I can keep things normal for her-I’ll cope. Coping for me means I need to cook. I need to bake. 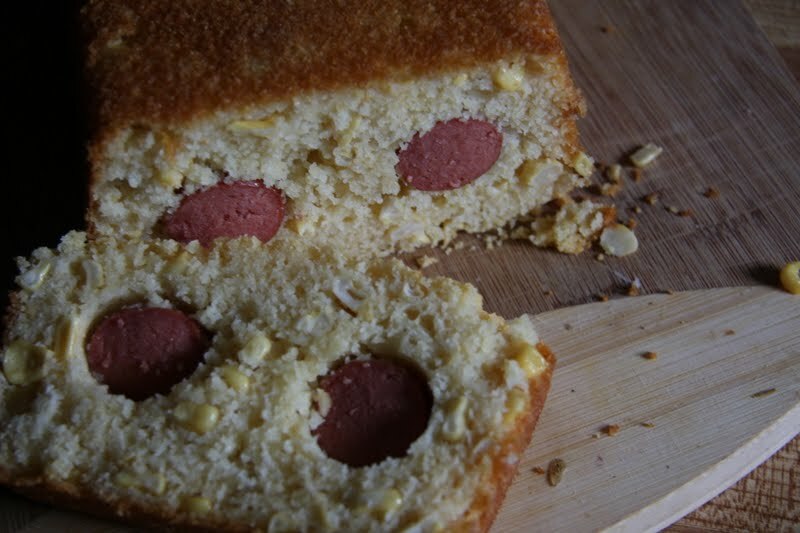 I saw a blog quite some time ago where the very clever lady had made baked Pogos (corndogs). So nice that you won’t even miss the stick. I’ve mentioned before that I’m not fussy on deep frying so getting the taste of a Pogo without the vat of hot oil around my little helper is fantastic. I’ve come up with my own version but you should check out the original too. 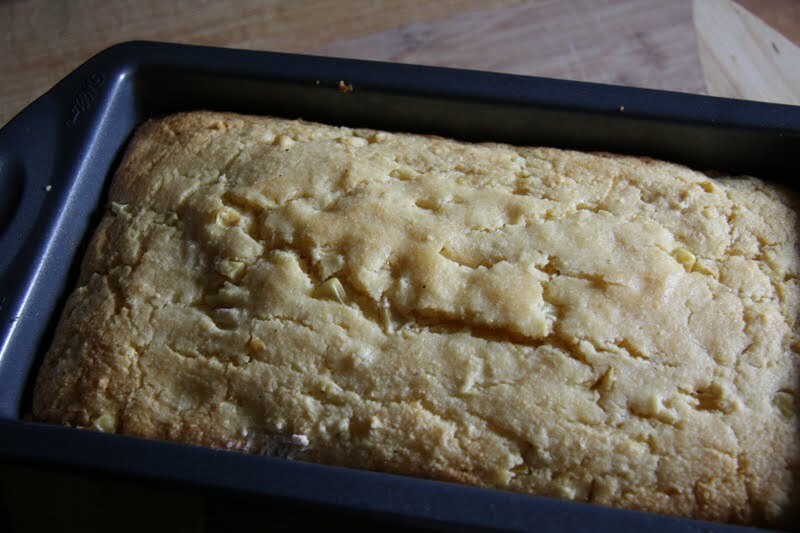 Simply take; 2 cups of cornmeal, 1 1/2 cups of flour, 2 T. baking powder, 2 cups milk, 2 eggs, 1/2 cup oil (Grandma often used melted butter or even bacon fat-I usually use olive oil), dash of salt and 1/3 cup sugar (if you want this to be a sweet cake then up the sugar to 2/3 cup). 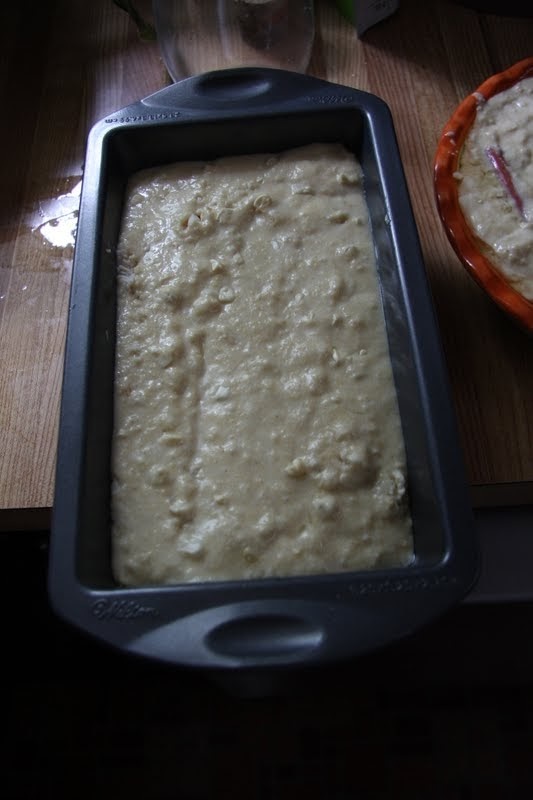 top with another 1/4 of the batter. This recipe makes two large loaves so just repeat the steps OR if you have less hearty eaters than what live in my house just half the recipe. 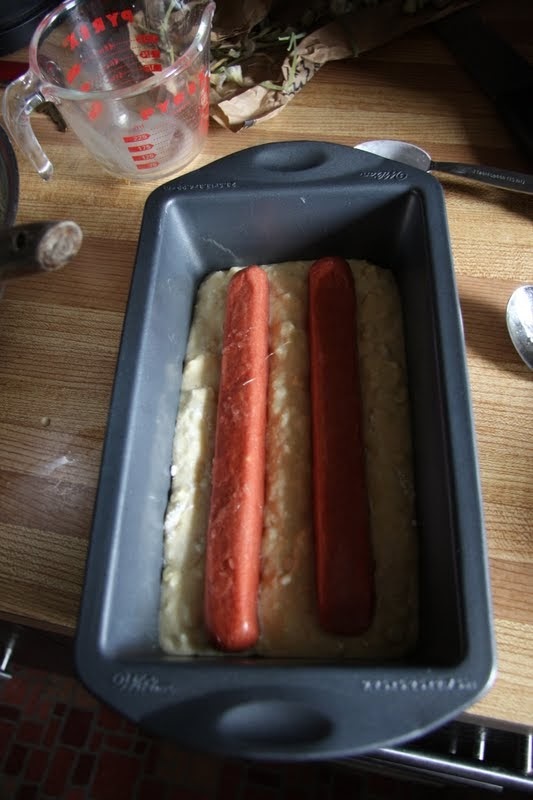 Bake for approx. 30 minutes at 350 degrees or until a knife comes out clean. Slice and devour. 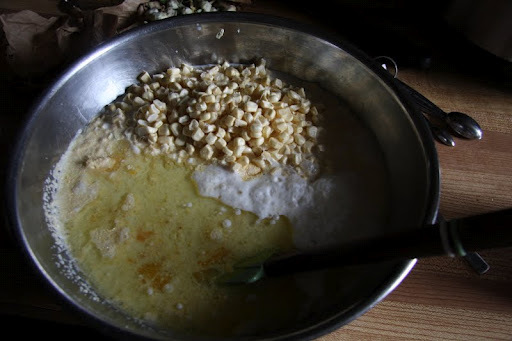 Ahhh…I think some caramel corn is going to need to be created really soon and another trip to the splash pad. I’m going to serve this with a nice mustard made with 2 T. mustard powder and 1 T. beer. Delish! Spicy like wasabi but still clean flavoured. Jane, you're going to get sick of me ooh-ing and aah-ing all over your posts, but seriously. Stop posting about such ridiculously appetizing things and I'll stop ooh-ing and aah-ing all over them. Oh, golly. That's practically maple-candy worthy!